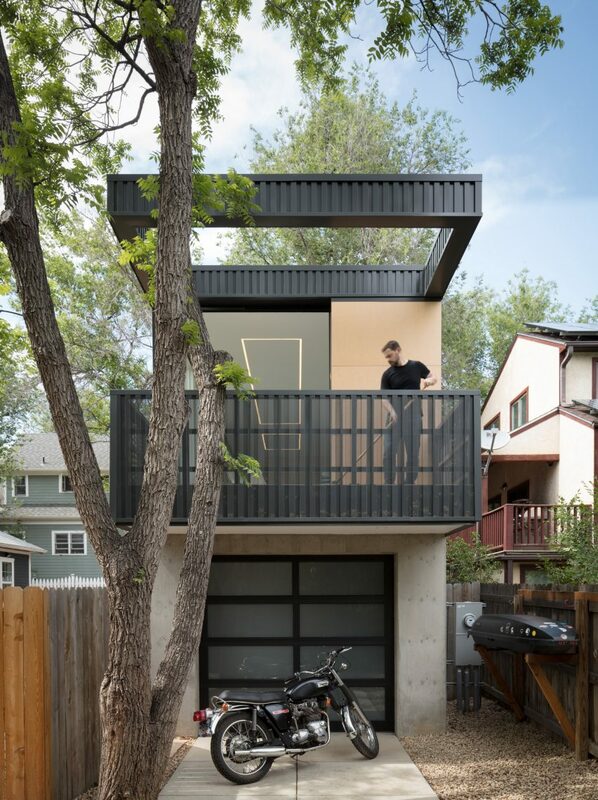 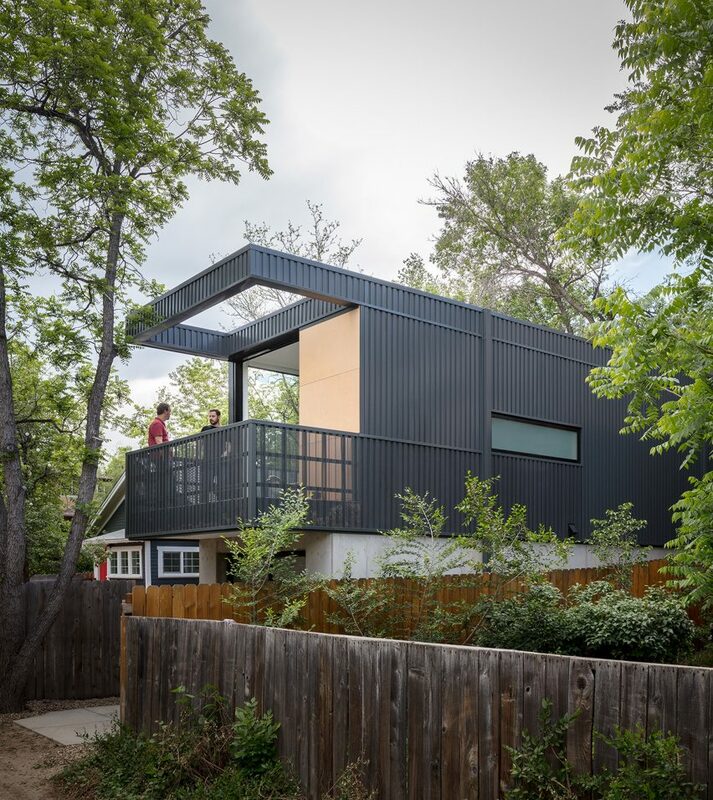 Called Space Pod – a nickname conceived by the neighbours – the building is located in a walkable, transitional district near Downtown Boulder, a town in the foothills of Colorado’s Rocky Mountains. 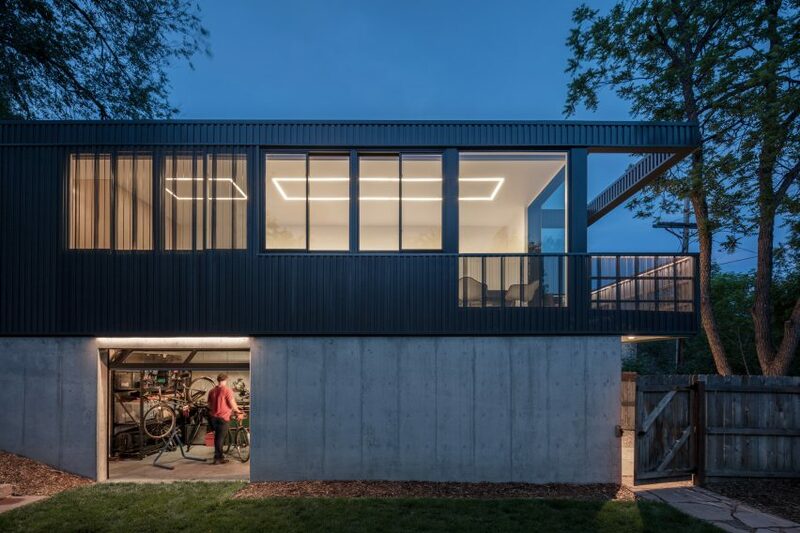 “The location of each volume on the site was driven by the desire to create a private, sun-filled backyard space, free from large imposing structures,” said Studio B Architecture + Interiors, which has offices in Boulder and Aspen. 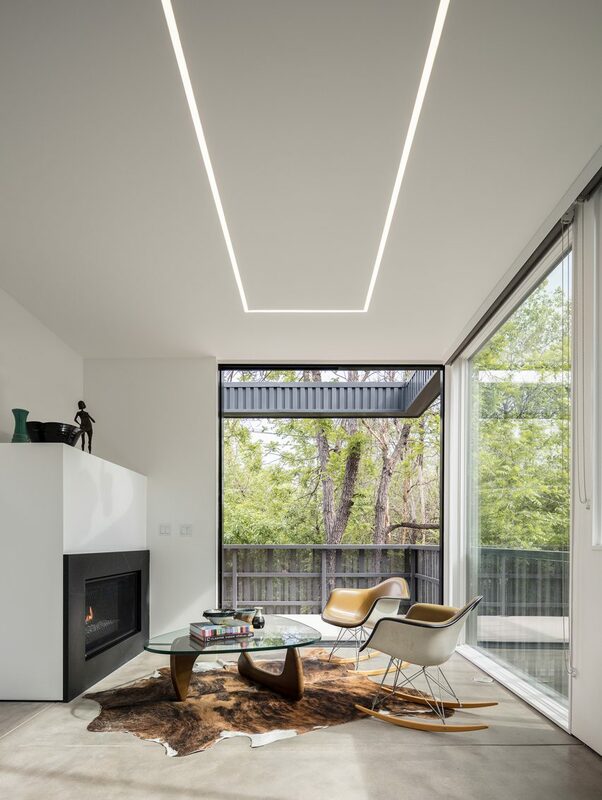 “This composition features subtle textures, perforations and transparencies, more or less visible in different light,” the team said.